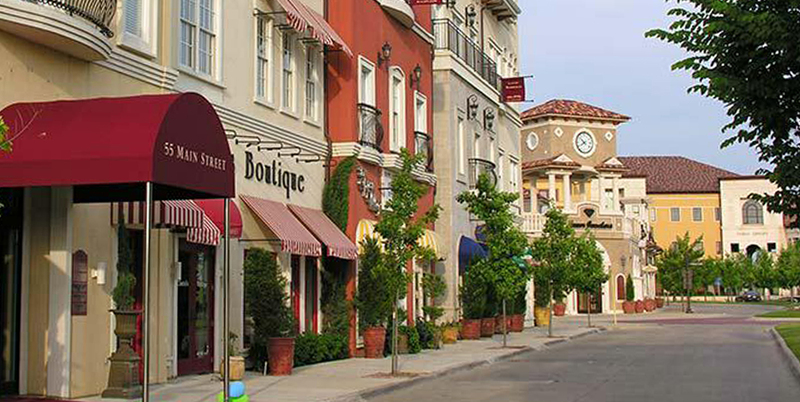 Colleyville, Texas is a unique community in the heart of the D/FW Metroplex. Residents say they move here for its rural feel and the proximity to modern luxuries including a variety of shops, restaurants and service. Colleyville started as a community of neighborhoods and continues that quiet, friendly, and charming atmosphere as a municipality, despite being just minutes away from D/FW Airport. Colleyville is emerging as one of the best places to live, work and play due to the central location and thriving economy leaving hundreds of families looking to purchase Colleyville Homes for Sale. Whether you are into sports, nature, or just want to take your kids to a playground, Colleyville has a park for you. 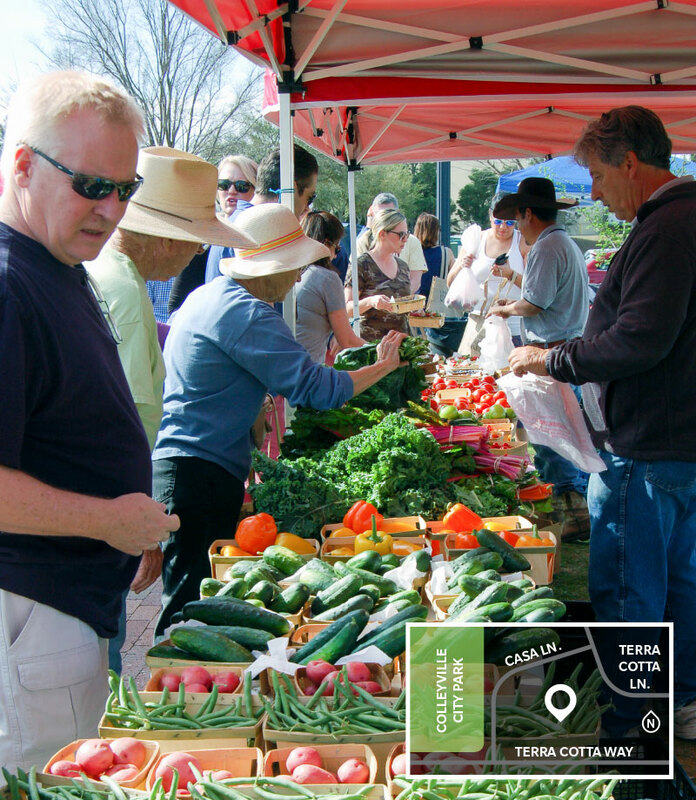 Colleyville residents can shop for local organic produce or artisan goods while getting to know the men and women that harvested or crafted them at weekly outdoor farmers market. From 3 to 7 p.m. on Thursdays, 30-40 vendors will sell various offerings including organic produce, meats, cheeses, eggs, honey, salsa, and jams, and crafted items such as candles, artwork, woodcrafts, and clothes. Information about Colleyville Homes for Sale and Southlake Real Estate can be found calling or stopping by our office located just East of Trophy Club in the master-planned community of Castle Hills. Stop by or call Renee Mears Realtors for a list of currently available homes in Colleyville. When looking to buy a home in Colleyville or sell a home in Colleyville it is always best to use an experienced Colleyville Realtor. If you are interested in Colleyville Homes for Sale call Renee Mears at 972-489-0828. What’s my Colleyville Home Worth? Custom designed home on a landscaped lot in a gated community! Hardwood flooring flows from entry throughout. Study with granite countertops and built-ins. Living room with a wall of windows and a floor-to-ceiling stone, gas fireplace. Open Eat-in Kitchen featuring stainless steel appliances, built-in fridge, white cabinetry, granite countertops, breakfast bar, island, double ovens, and built-in coffee bar! Downstairs bright Master bedroom with a spa-like bath featuring a jetted tub, separate vanities, and glass shower. Upstairs features 3 bedrooms, 2 bathrooms, and a Gameroom. Private backyard with lush yard and covered patio featuring electric screens! Community pond and trails. GCISD Lottery option! IMMACULATE & MOVE IN READY HOME WITH 3 CAR GARAGE IN GATED COMMUNITY! Gorgeous view of Greenbelt! This light & bright home features soaring ceilings, abundance of windows for natural light & floor to ceiling Austin stone FP with gas stater & logs. Open concept kitchen has huge island, breakfast bar, granite, SS appliances, 5 burner gas cook-top & double convection oven! Private Owners Retreat has bay window, sitting area overlooking greenbelt, large en-suite & walk-in closet with custom built-ins. Additional bedroom & full bath on 1st floor could make great guest suite! Office, utility room & mud-area on 1st level. Game room, media room, 2 additional bedrooms & 2 full baths on 2nd floor! See more in Docs! Stunning Sophistication in the Sought After Thornbury Gated Community. Situated on 2.5 Acres of Lush Landscaping & Mature Trees, this Distinctive Home has Many Luxurious Updates Throughout. The Light & Bright Floor Plan Boasts a Chef's Kitchen w Top-of-the-Line Appliances, Dual Sinks & Taj Mahal Quarzite Counters Opening to the Breakfast & Living Area w Wet-Bar. Retreat to the Impeccably Remodeled Master Suite & Spa-Like Bath w white marble shower & pedestal tub. Upstairs Find 3 Bdrms, Flex Game Room & Media Room w Retractable Screens & Projector. The Backyard Oasis Features a Remodeled Claffey Pool, Synthetic Turf & Recently Constructed Outdoor Kitchen & Living. See Feature List For All Updates & Improvements! Many feel this home is far too nice to be torn down. If you understand the meaning of Fixer Upper, you will want to check this gem out. It really has a lot to offer and potentially could be a dream come true for the right buyer. It is in a neighborhood where million dollar mansions are very common. The listed price on this home was based on the land value alone. With some loving touches and a few thousand dollars this could be an exceptional and rewarding venture for any person worthy of building their own dream situation. The location is spectacular. The school district is exceptional. The layout of the property is perfect. The pool is ready to entertain and cool you down during your remodeling pleasures. Looking for a beautiful serene home? You just found it! As you drive up you will notice the large trees & the fantastic curb appeal. Once inside your eyes will be drawn to the large, recently replaced windows overlooking the backyard & the handscraped hardwoods that span through the common spaces. Vaulted ceilings with beams, large windows & a see through fireplace are just a few of the features in the family room. Relax in your master retreat which features a sitting area, dual closets and a walk in shower. Step outside to your backyard oasis and cool off in your pool that overlooks a greenbelt or sit under the pergola sipping some tea. This beautiful home has so many great features, you must see for yourself! Spectacular custom home in Remington Park on large treed lot. Curb appeal, winding stairs, executive study welcomes you. Restrained elegance maintained to perfection. Spacious rooms, ideal open floor plan streams natural light, beautiful living areas for entertaining. Updates:WiFi smart home features, neutral paint, windows, fence stain, microwave, Katchakid pool safety cover, etc. Gourmet kitchen, large island, abundant storage, 2 sinks, gas stove, mudroom, office with French door. Master, guest suite on main level. Media, Game, kitchenette, 3 beds & en-suites up. Amazing Claffey pool-spa-waterfall, covered patio, fireplace. Community lakes trails playground tennis & more. Close to schools & airport. Must see! Contemporary home on a cul-de-sac lot in desirable Westmont! Sleek, modern finishes. Living Room with unique linear gas fireplace and a wall of windows allowing natural light to flow through. Gourmet Kitchen with built-in fridge, large island, granite countertops, gas cooktop, and bright Dining area. Study could be 4th bedroom. Downstairs Master suite with seating area, walk-in closet, fireplace, and luxurious master bath with granite and free standing tub. Powder bath, guest bed and bath downstairs. Upstairs Gameroom with wet bar, bedroom and Hollywood bath! Many Energy efficient features including total foam encapsulation. Lush backyard features a covered patio and plenty of green space. GCISD Lottery option! GORGEOUS AND PRICED BELOW APPRAISED VALUE!! Custom home located in gated LAKEWOOD ESTATES! This beauty offers high-end updated transitional finishes throughout. The spacious owners retreat features a sitting area, updated bathroom and a private stairway office over-looking the downstairs Atrium. 4 Living, 2 Dining, Gourmet Kitchen, Study and Second bedroom downstairs. Upstairs are 2 Large bedrooms with a Bonus room that could be used as 5th bedroom, craft or exercise room with media and game room. Enjoy the secluded LOW MAINTENANCE minimum grass backyard featuring a large covered patio, beautiful pool, and surround sound perfect for entertaining! Custom Home with Great Floor Plan with Tons of Natural Light and Privacy! Guest and Master Bedroom Down with En Suite.Kitchen has Jen-Air Double Ovens,Cooktop, Island, Breakfast Bar, Eat-in Kitchen and Walk in Pantry. Family Room is Open to Kitchen with Built in Cabinets, Wet Bar and Fireplace All Overlooking Beautiful Private Backyard and Pool. Master Bedroom is Spacious and Bright with Bay Windows and Double Sided Fireplace into Bath. Double Vanities, Soaker Tub and Seamless Shower. Large Bedrooms Up with Fifth Bedroom or Bonus Room off Family Room with Back Staircase Entry. One Half Acre Corner Lot, Circular Drive, Lovely Community with Tennis Courts, Lake,Walking Trails All in Award Winning ISD! Don't Miss! WALK IN AND FEEL AT HOME WITH AN OPEN FOYER LEADING TO A MAGNIFICENT VIEW FROM LARGE WINDOWS LOOKING OUT TO THE POOL. PLANTATION SHUTTERS THROUGHOUT. THIS HOME HAS A HUGE KITCHEN WITH MANY CABINETS FOR STORAGE, OPEN TO DINING AND FAMILY ROOM. BEDROOMS ARE SEPARATED, GREAT FOR A FAMILY OR HOSTING GUESTS. BACKS UP TO GREENBELT, THIS BACKYARD WILL NOT DISAPPOINT! Rare find in Colleyville! 8 bedroom, six and 2 half baths, gameroom, two laundry rooms, formal dining, formal living, piano room, living area, 3 bedrooms down, 5 bedrooms upstairs, in-law or college suite with separate entrance and parking space. Nanny wing complete with bedroom, 2 walk in closets, full bathroom and upstairs laundry or craft room. Neutral colors, recently painted, fireplace in master bedroom, master bathroom has dressing area with separate jetted tub and shower. Diving pool with separate hot tub and waterfall. Soaring ceilings, stunning chandeliers, very open and inviting.Over sized garage for those that have lots of toys! Huge lot, extends past fence and has a side dog run.No rear neighbors! What's my Colleyville Home Worth?